This week Lely North America will highlight the five U.S. recipients of the 2016 Future of Dairy Scholarship Program. 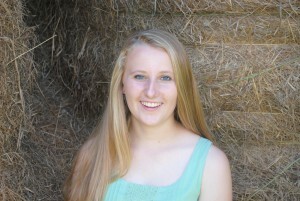 Emily Ooms of Valatie, New York was one of the students who has been awarded a one-year, $1,000 scholarship. Ooms, who is majoring in animal science at Cornell University, has worked on her family’s dairy operation, served as New York state dairy princess and was active in 4-H for many years along with many other activities and honors. Many farms, including my family’s, transitioned to robotic milking systems in order to save labor costs, but along the way found many additional bonuses. On my family farm we’re able to save 500 gallons of water a day, by using robotic milking systems, allowing us to help the environment as well. But what we’ve enjoyed the most is the freedom the robots allow our cows. They’re able to get milked as often or as little as pleased, and have become increasingly friendlier. Congratulations to Ooms and all of the scholarship recipients. Look for more of our winners posted this week.